Morocco Prime Minister Vows to Push Reforms if Re-elected - The Maghreb Times ! 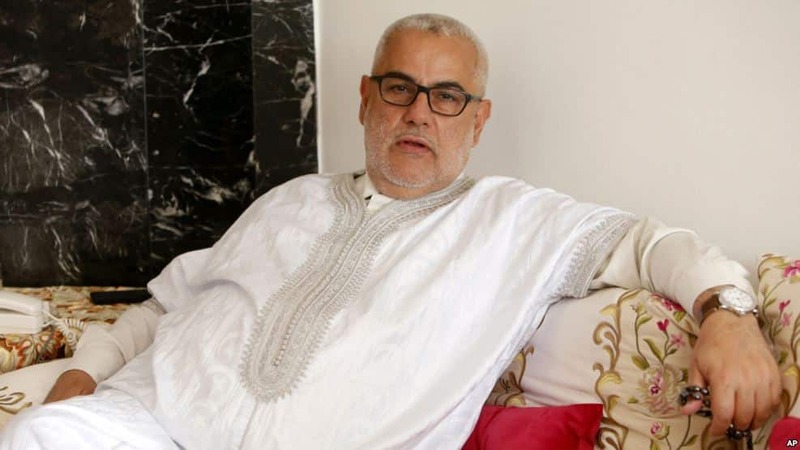 Morocco’s Prime Minister Abdelilah Benkirane said his ruling Islamist party will advance economic reforms including further rationalization of subsidies sought by international lenders if it wins this week’s parliamentary election. Moroccans vote Friday in only the second parliamentary election since the king relinquished some of his powers to an elected cabinet in 2011 under a constitutional reform to help ease Arab Spring-style protests demanding change. No party openly challenges King Mohamed’s authority, but Benkirane’s Islamist Justice and Development Party (PJD) is looking to consolidate gains in the constitutional monarchy system against rivals who analysts say are closer to the palace. After leading the ruling coalition for five years, Benkirane’s party is popular for its anti-corruption stance, but has also pushed austerity that has helped overhaul the public finances. More than its North African neighbors, Morocco has been praised by multilateral lenders for controlling the high public spending and subsidized welfare systems that plagued the region for years, even before the Arab Spring uprisings prompted governments to ramp up spending. Most recently, the government pushed through a pension system reform that raised the retirement age and increased worker pension contributions. That followed freezes on public hiring, tax and subsidy reforms. Benkirane said reforms to cooking gas subsidies, a measure that affects many households, were inevitable but should not be removed completely so as to protect the poorest. Electricity and water bill aid for the most impoverished were also possible. But curbing public hiring and cutting subsidies and other benefits that Moroccans have enjoyed for years have this year brought protests and strikes. Benkirane said next year’s subsidy spending was under review, but would likely be less than this year’s 15 billion dirhams ($1.55 billion) and closer to 12 billion dirhams. Unlike rulers in Tunisia, Egypt and Libya overthrown in Arab Spring uprisings in 2011, Morocco’s king rode out popular protests with a combination of constitutional reform, increased spending and tightened security. The king still holds ultimate power, controlling a judiciary council, most security services, religious affairs bodies and a council of ministers that must approve all legislation. 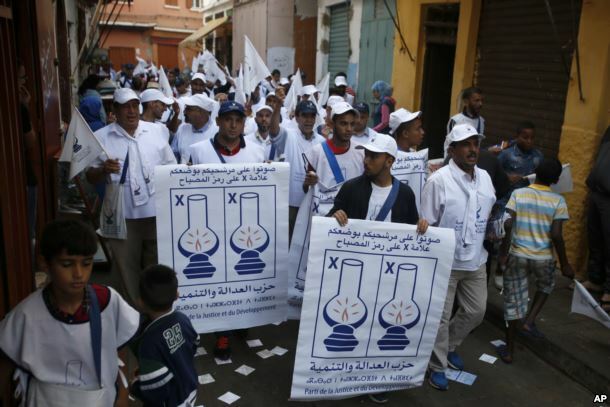 Supporters of the Islamist Justice and Development Party, known as the PJD, walk in the street of the old Medina during a campaign tour in Casablanca, Morocco, Oct. 1, 2016. The PJD is widely expected by analysts to remain the dominant party over its main rival the Authenticity and Modernity Party (PAM), whose founder is now a palace adviser. But Morocco’s election system means no one party can win outright, forcing the winner into coalition talks. Still, campaigning for the October 7 election has strained the delicate political balance by exacerbating splits between the palace and the PJD, with whom many palace supporters have been reluctant to share power. The PJD and its junior ally have accused the establishment of favoring the PAM. The palace says the king maintains the same distance from all parties. In recent weeks, a PJD justice minister has accused a palace-appointed interior minister of unfairly controlling election preparations. PJD campaigners also accuse the interior ministry of ordering local neighbor watch officials under its control of trying to sway voters against the PJD. “Our activists are on the ground and they move around, so they have heard a lot of things. … We wrote to the justice and interior ministers to ask them to investigate,” Benkirane said. Still, the PJD has played down any tensions with the palace as the campaign entered its final stages. Benkirane has been keen to emphasize his relationship with the king is one of cooperation and not confrontation. Next articleLarbi Tadlaoui, incarcerated for being a young outstanding businessman.